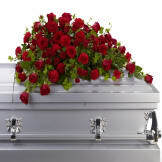 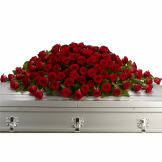 A loving embrace of rich, regal roses in an all-red spray to adorn the casket. 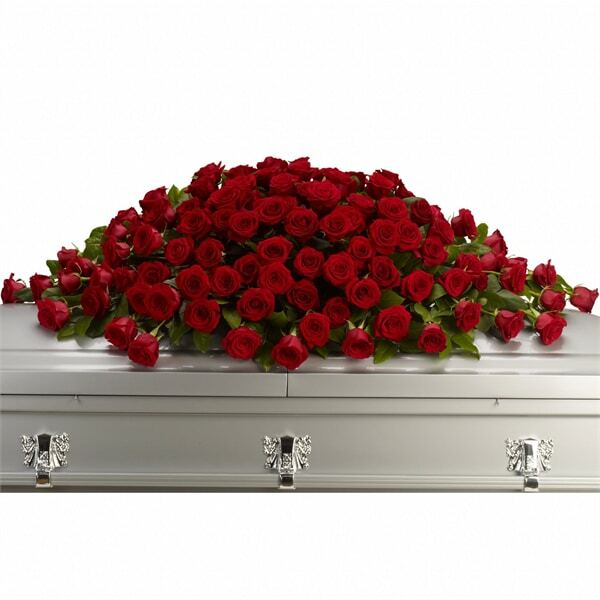 A rich and beautiful way to honor the memory of your loved one. • A full spray of crimson roses, alternating large with slightly smaller roses. 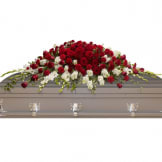 • Arrangement measures approximately 62" W X 22" H.
Flowers will be received by a Naugle Funeral and Cremation Service's staff. 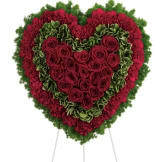 All of our flowers are designed and delivered by hand from a local florist in in Quakertown.